It’s not often that a surf film documents rather than simply portray the surfing lifestyle. Under the Sun is such an example. Filmed, edited, and written by filmmaker Cyrus Sutton, Under the Sun takes an in depth look at two Australian cities that have shaped our current, and sometimes clashing, duality of surfing cultures. There’s the Gold Coast, boasting major surf wear multi-nationals and home to some of the best competitive surfers in the world. And down the road a ways there’s Byron Bay, perhaps best known from early on in the Morning of the Earth, a hippie enclave with locally grown foods and simple living. But Sutton does much more than compare the two cities. In fact, Sutton manages to objectively look at the commodification of modern surf culture, as it exists in both the competitive and “free surfing” world. But there is much more to the well executed film. The cinematography and composition are flawless. Sutton provides as much eye candy and he does interview footage. I am no surf historian and cannot vouch for the history laid out in the film, no matter anyway as history is hardly static, especially in surfing. Sutton interviews a broad cast of characters to bring home the bacon. From Rabbit to Dean Morrison and the old Tracks Magazine crew, to Nat and Beau Young and David Rastovich, we see various view points about the controversial subject — is surfing sport? And in true documentary form, Sutton leaves this question up to the viewer to decide. We do not choose where we’re born or what social class we belong to. For those of us lucky enough to pursue surfing as a life long passion, Rastovich’s statement holds a whole heap of meaning. Why wouldn’t we derive joy from our environment? Is it not our responsibility? Under the Sun is a great film and nothing less. Thanks Cyrus for allowing us to screen it. Now, that sounds like a great movie! Thanks for the review! And for the excellent site. Looks good and I can’t wait. I can’t wait to get a copy and post it up on Limewire so we can all download it for free. Why so hostile – I’m just doing my part to end the commodification of surfing. Perhaps the humour was not obvious in my last remark. However, it should be made clear that the commodification, or corporatization of a culture or movement is different than say, making a film and getting paid for it. 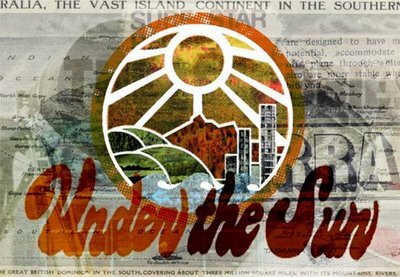 Under the Sun discusses the issue of the commercialization of surfing and in order for the filmmaker and his backers to be able to make a film like this they must make revenue to cover their costs and make some profit to pay the bills. What your suggesting is that this piece of work be stolen and given away, at the expense of the filmmaker. This film is the product of two years of hard work from a small group of individuals whoâ€™ve given their all to see it come to life. Stealing their work would be akin someone coming and taking your home or car and giving it to someone else. Is this what you are suggesting? By ripping off the film you’d be contributing more to the commodification of surfing than fighting against it. Not unlike the way the multinational clothing corporations appropriate the style and trappings of surfing culture and sell it to the masses. Read about the story in the last TSJ. Look forward to watch it soon. The plot sort of reminds me of McCoy film of A.I. “against” Rasta.